True Blue Golf Plantation opened in 1998 and has since been one of the most honored Myrtle Beach golf courses. 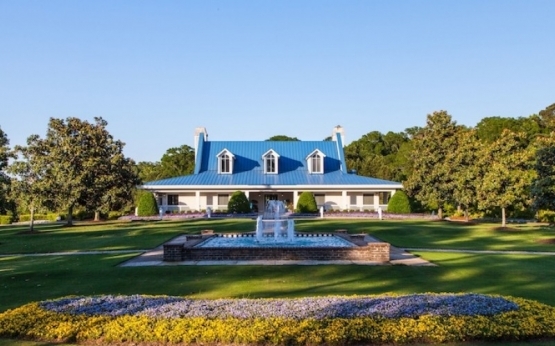 This Mike Strantz design features everything that you would expect in a Lowcountry golf course. Built on a former rice and indigo plantation, True Blue maintains all of the beauty and traditions from centuries past. The beautiful fairways wind their way through dramatic elevation changes, rolling terrain and natural vegetation to large undulating greens. Natural sandy areas have been retained to challenge wayward shots. Among its many awards , True Blue was recently named “The #1 Public Golf Course You Can Play in the Myrtle Beach Area” by Golf Digest Magazine. True Blue offers the perfect opportunity for a beautiful Myrtle Beach golf photo. An outstanding 18-acre practice facility is available to tune up your game and if you would like a Myrtle Beach golf lesson the Steve Dresser Golf Academy is one of the finest in the Myrtle Beach area. The par-72 course can stretch to 7,126 yards but has several tee boxes to ensure that the course is playable for everyone. Myrtle Beach Golf Authority and their attention to detail and service will ensure that your Myrtle Beach golf package will include everything that you desire. They offer the very best in Myrtle Beach and North Myrtle Beach accommodations. While not on the links be sure to enjoy some of the many Myrtle Beach attractions such as the Myrtle Beach Boardwalk and Myrtle Beach Sky Wheel. Many memories will be made on your Myrtle Beach golf package and today is the time to book one! Hands down ..THE best track I've played in Myrtle Beach. We simply had to play 36 and enjoyed every single swing. Course was in fantastic shape and what a layout. PERFECTION ! I've played golf al over the world including the "Bucket List" tracks. True Blue is in my top 2 or 3 EVER .. The staff was awesome, the food was great and the beer was cold.